All of civilization has been annihilated. Or so eight-year-old Peggy Hillcoat believes after her father, James, takes her from her North London home deep into the German woods to start a new life as the "only survivors." 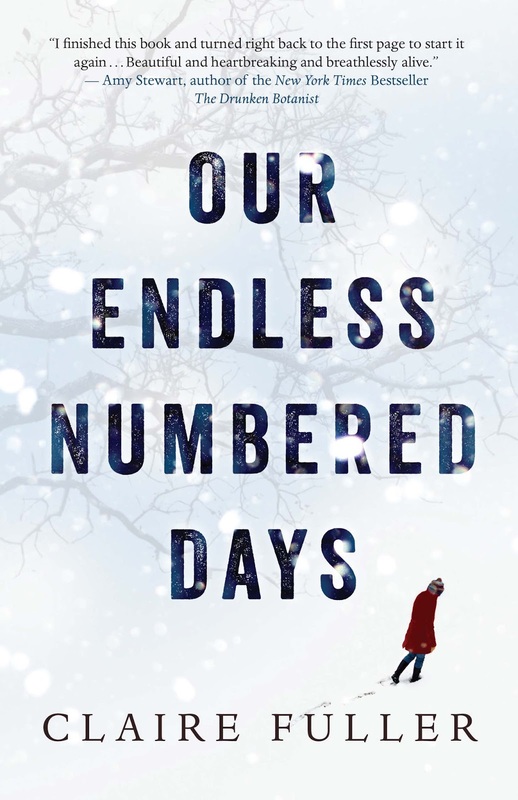 So begins Peggy's captivity in Claire Fuller's compelling work of literary fiction, Our Endless Numbered Days. After nine years in the wilderness, Peggy is found wandering around a small German town--injured, malnourished, delirious, and alone--looking for a man named Reuben. As she adjusts to a world she believed had disappeared, the mysteries surrounding her time in the woods are gradually unveiled, bringing to light some disturbing realities. I was first drawn to this novel because it was described as a coming-of-age story, which always piques my interest. As I read through it, I was struck by the author's vivid and lyrical descriptions of natural settings. The beauty of these moments provides an interesting contrast to the oftentimes unsettling content, which intensifies as the story progresses. Told from Peggy's perspective, the chapters switch back-and-forth between her life before, during, and after her captivity. Fuller scatters clues throughout to help readers piece together what exactly happened to Peggy during her time in the woods, ultimately creating a moving account of one girl's attempts to cope with and comprehend traumatic experiences and to find ways to survive. Interested in reading other compelling and disturbing fictional tales of abduction, but with a stronger element of suspense? Emma Donoghue's Room follows five-year-old Jack, who narrates his experiences growing up in captivity with his mother, their dramatic escape, and adjustments to life on the outside. Similar to Our Endless Numbered Days, Isla Morley's Isla Morley's Above is an intricately plotted tale of a female protagonist abducted by a survivalist, but Morley's story of captivity contains a post-apocalyptic turn.